Yes, there is a level in which you are a father filming a home movie. As I wrote in one of the first posts of the Pop Culture Historian, Call of Duty: Then and Now, Call of Duty is easily one of the most popular franchises in the modern video game industry. And now I finally got to play the hotly anticipated Modern Warfare 3, despite it having come out some time ago. As I was playing on my brother’s Xbox 360 and I do not own an Xbox Live account, I only played through the campaign. Thus, I’ll admit this won’t be a really fair or relevant review since I know most people play post-CoD3 Call of Duty games purely for the online multiplayer action. 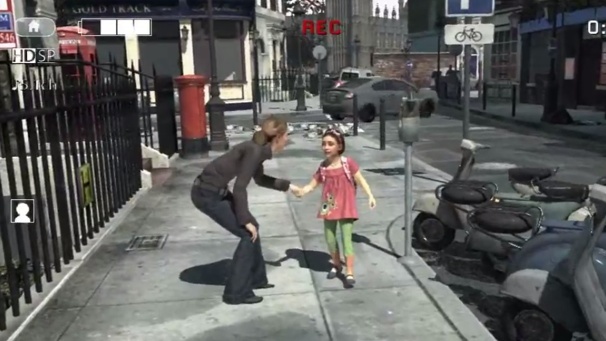 As for the campaign, Modern Warfare 3 picks up exactly where Modern Warfare 2 left off. Russia and the United States are fighting each other in World War III. In the meantime, Captain Price and Soap MacTavish hunt Makarov while being on the run themselves. Since this is a Call of Duty and not a Japanese RPG of yester-year, don’t expect any depth in the story. I was playing the game on Hardened, and that entailed dying and restarting from checkpoints a lot. Even then, it took me about 6 hours to get through the campaign. While MW3 gave some closure, I was disappointed seeing how some of the plotholes left in MW2 were never resolved. As far as gameplay goes, I can say that if you played pretty much any Call of Duty since Call of Duty 2, you know exactly what to expect. You can carry up to two weapons, and you don’t have a health bar. Rather, you regenerate health when you stop taking damage for a few seconds, much like what Halo introduced. Of course, I will say the campaign was very tightly scripted with terrific cinematic action sequences. Though I did see that Modern Warfare 3 had the same issue that plagued one of my all time favorite shooters, Medal of Honor: Frontline. That problem is that the scripting was a lot better than the artificial intelligence of the NPCs. I have walked into friendly NPCs shooting straight into walls. For that reason, I found that playing on any difficulty above Regular was not a lot of fun at all. The Hardened setting basically made friendly NPCs completely useless while enemies suddenly become frustratingly accurate. Add the fact that a bullet hurts significantly more on Hardened, and you’ll find yourself restarting from checkpoints a bit more frequently than you would like. If you have played Modern Warfare 2, then you’ll know exactly what to expect the graphics of MW3 to look like. Character models are slightly more detailed, but for the most part the game looks exactly the same because it runs on the same engine. Once again, I say the game looks great with the fast-paced action, but it’s easier to see the flaws in the graphics as soon as things slow down for a bit and you get a chance to inspect things up close. As always with Call of Duty games, the most impressive part of the presentation is the sound. Gunshots sound loud and believable, and you also have some great voice acting all around, including film actors like William Fichtner as Sandman and Idris Elba as Truck. While it is good that the story of the Modern Warfare saga finally reached a conclusion, I personally really have a hard time recommending anyone drop $60 for Modern Warfare 3. I haven’t played the multiplayer, but I have heard from multiple sources that players felt Modern Warfare 3 was more or less a really expensive MW2 map pack. More than anything else, it feels like the Call of Duty franchise has officially outstayed its welcome in the world of video games.